Mount Washington is the highest peak in the northeastern U.S. and the most prominent mountain east of the Mississippi River. Hikers will endure a 4,000 gain in elevation over some very rugged terrain. It is often called the most dangerous small mountain in the world, largely due to sudden and severe changes in weather than can occur year round. As such, it is very important to properly research this trail and bring proper gear as conditions can change rapidly. The mountain once held the world record and still holds the northern and western hemisphere record for directly measured surface wind speed (231 mph). The Pinkham Notch Visitor Center at the trailhead offers a changing/staging area in the basement where you can use the bathroom, fill water bottles and get suited up for the day. There is also a cafe in the visitor center that serves hot meals. 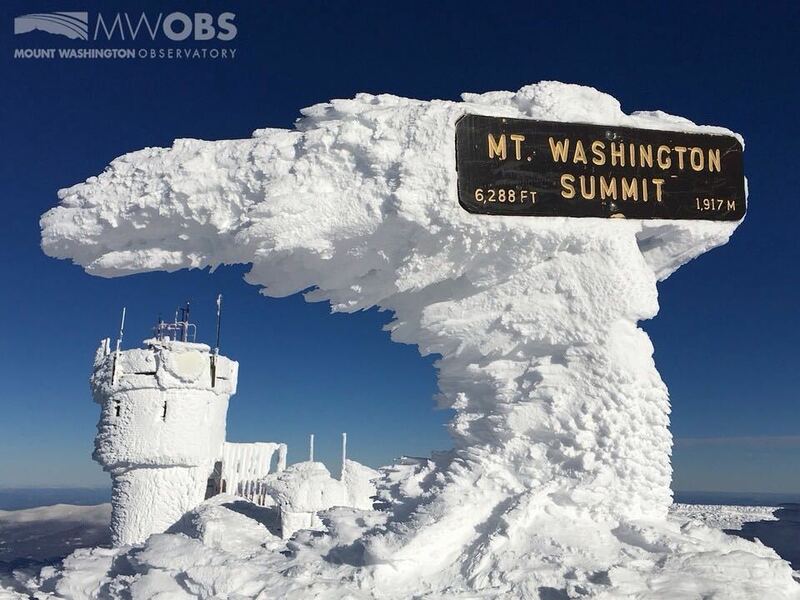 Mt Washington is known for having some of the worst weather in the world with sudden, heavy precipitation and significant temperature drops during the summer months. There are numerous trails that reach the summit on the North and West side of the mountain. Six-Pack of Peaks Challengers must follow the Tuckerman Ravine Trail at Pinkham Notch, a total of eight miles. There are many campsites available within a short distance of the Pinkham Notch trailhead including the Green Meadow camping area in Glen, NH and the Barnes Field Campground in Gorham, NH. There are many lodging options within 30 minutes of Pinkham Notch, most notably in the historic, quaint town of North Conway. The town includes most of the major hotel chains as well as many wonderful bed and breakfast options to choose from. My favorite place to stay in North Conway is Merrill Farm Inn, a quaint, no frills option offering both cabins and rooms in a quieter and more relaxed part of town. The area offers many great dining options so selecting just one can be a challenge. My personal favorite is the Red Parka Pub, a local favorite I have enjoyed for over 40 years. It is located in Glen, NH approximately 12 miles from the Pinkham Notch trailhead.